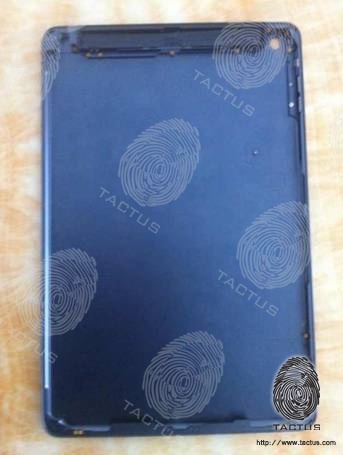 Case company Tactus, which last week shared a photo of what was claimed to be the polycarbonate rear shell of Apple's rumored lower-cost iPhone, has now posted a new photo allegedly showing the inside of the fifth-generation iPad's rear shell. The photo is of fairly low resolution, but is consistent with the first photos of the shell that leaked in late January. At a minimum, the photo indicates that these parts are continuing to surface from the supply chain some three months after their initial appearance, although there has yet to be any firm indication on when Apple is planning to launch the new full-size iPad that appears set to carry a slimmer design based on the iPad mini. The photo also shows for the first time the entirety of the rear shell's interior. Most reports have indicated that the fifth-generation iPad will be launching around the September timeframe, although there have been sporadic reports that Apple could update its iPads any time now if the next-generation devices are ready. 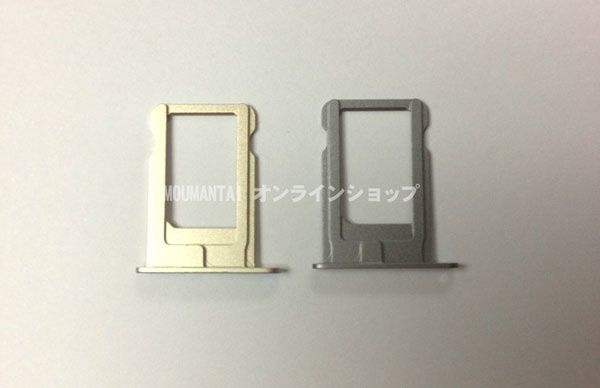 On a separate note, Japanese parts shop Moumantai has posted [Google translation] a pair of photos showing what is said to be the nano-SIM tray from the iPhone 5S. with the trays reportedly identical in shape to those used on the iPhone 5. The report identifies the iPhone 5S trays as showing up in gray and bronze/gold colors, although it is possible that the photos may show somewhat inaccurate colors given expectations of slate and silver as seen on the iPhone 5. It is, however, difficult to place too much stock in these SIM tray photos, given that they are identical to the current design and that third-party versions in various colors are prevalent. Alleged parts for the iPhone 5S have begun surfacing in recent weeks, although there has been some uncertainty about which parts might be for the iPhone 5S and which ones might be destined for Apple's rumored lower-cost iPhone. I can't wait to brag about my new sim tray. What, no picosim tray? I call fake. I hate how stale the simtrays have become. But will it be called an iPad? And what is the strongest evidence to prove that the iPhone would be called 5S? Anyway 5S is a bad name because 5 and S look too similar. They should call it "Favess"
I think the iPad and iPad mini will take over the traditional early September iPod media event from now onwards. It makes sense, the annual iPod refresh is a non event these days so they could just tag it on to the iPad event and a Sept launch is nicely timed to compete with the slew of new/updated Android tablets just in time for the back to school and holiday shopping season.